In 2007, my husband and I went to Israel with Michael Medved and his family (he is based and broadcasts from KTTH 770 Radio in Seattle). 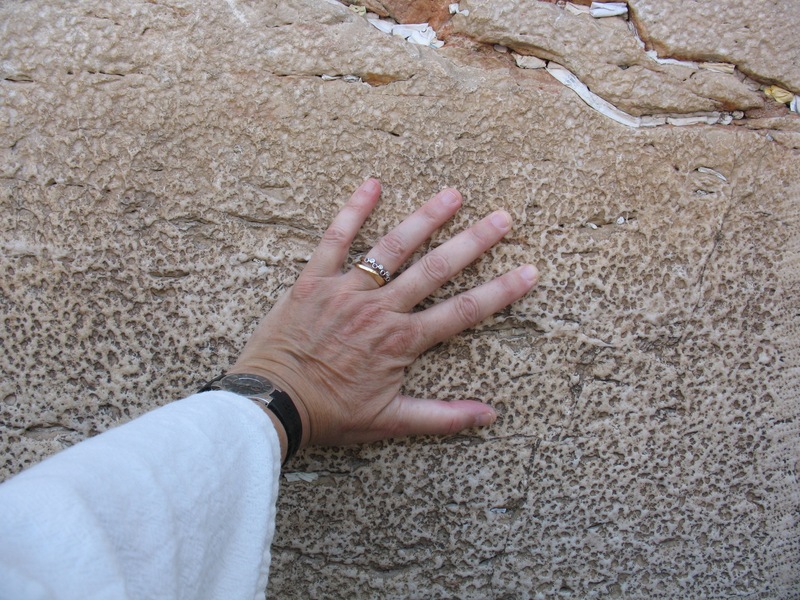 One morning, I took a solitary walk to the Old City in Jerusalem, and visited the Western (Wailing) Wall, the remaining remnant of the Second Temple. Jews come here to mourn the loss of the Temple, and pray for its restoration. Many worshippers write their prayers on tiny slips of paper and insert them between the stones, to speak for them after they have left the area. I felt the wailing, and the prayers, and the anguish of my people-tears came to my eyes. I placed my hand on the wall to feel its power, and took a picture with my camera. This is a constant reminder of my visit, and my heritage. Harmony-connected to the reminder of the 2,500-year history of my people. This picture has a sound-track, too. I have always loved this “round”, Don McLean singing “Babylon”. Words from Psalm 137. This is a bigger picture of the Wall, and the worshippers. 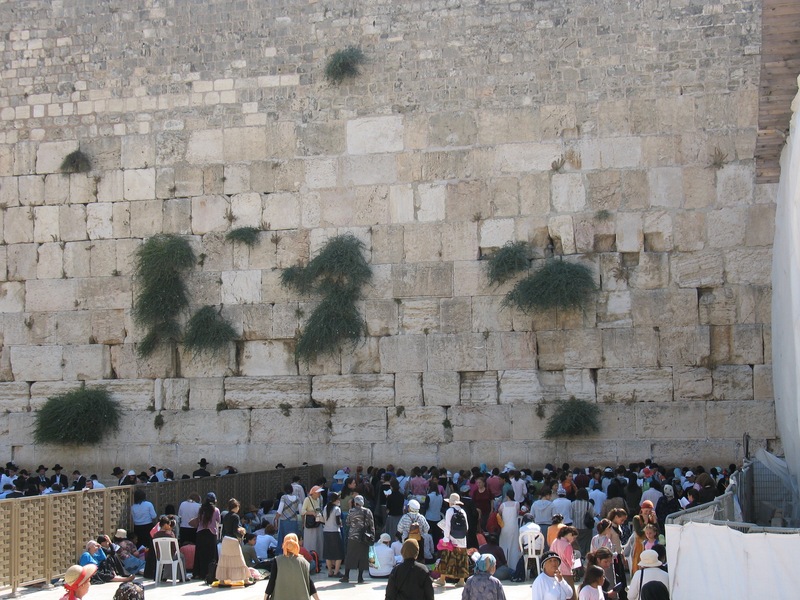 People pray at the most powerful symbol of enduring Judiasm. There is something so awe sticking in the knowledge that anything can be thousands of years old and still exist. Thank you again for your invitation. A great way to start a morning. My pleasure, indeed. I also sent a friend along to your blog, but it might take a day or two. May you have many followers.